Showing the linkages from an issue, concept or problem with other concepts or issues. MM is a popular brainstorming tool and learning technique of visually arranging ideas and their interconnections. It can be used to graphically arrange the linkages of some central concept or issue with other concepts or issues into memorable treelike diagrams. It allows you to create, capture, organize, and communicate readily understood and highly interactive visual representations of complex ideas, information, and data. A mind map always starts from some problem or issue which is positioned in the center. Typically it contains words, short phrases and pictures, which are connected to the central issue by lines. Most people are visually oriented. Using structure, words, color, images, and hyperlinks (and sounds) to bring concepts to life, MM links a central concept or issue with related concepts or issues. Unlike linear thinking modes (that you probably learned at school) it stimulates imagination and creativity, by connecting left and right brain thinking. Thus it is believed to harness the full range of your analytical and creative skills. Radial drawings have already been used for centuries to analyze all kinds of problems. An early example is the graphical representation of the categories of Aristotle by Neoplatonist thinker Poephyry in the 3rd century. Tony Buzan, a British psychologist and a business creativity guru, was seeking a visual and faster way of outlining ideas on paper to support learning and memorizing. He made the modern Mind Map popular in the 60s. To visualize human information exchange (e.g. workshops, project or staff meetings, brainstorm sessions and strategy sessions). To organize, reorganize and filter the thoughts and ideas that are collected. To analyze and structure the information, to identify relationships between key points. To improve knowledge management systems. The Mind Map can be used as a visual interface that contains information or external links. Latest software allows automatic build-up of the Mind Map by search engines and renewal of the content by refreshing. To produce and present information in a better way. Mind Maps can be automatically converted to other forms of communication, such as: web sites, MSPowerpoint presentations, Projectmanagement information, MSWord files and MSOutlook tasks. To better manage the information for meetings, presentations, projects, proposals, research, contacts, etc. Both in the preparation phase, the execution phase and the follow-up phase. Clarifying of thoughts. Summarizing. Gain an overview. See topics in their context. Presentation. Analyze and solve complex problems. Collapse or expand topics to see more or to see less detail (through software). Support group communication processes (through software). Individual use. To increase personal effectiveness (elaborating ideas and plans, control over complex information, time and project management). 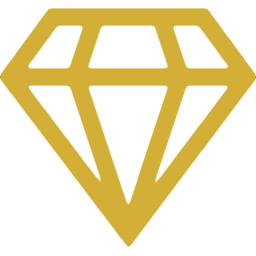 Use in teams. To increase creativity and team work (brainstorming, staff meetings, project meetings, project management, knowledge management). Use at events. To increase interaction and stakeholder communication, visualize discussions and enable easy reporting mechanisms in the follow-up of the events such as conferences, workshops and seminars. Corporate use. To create an open and collaborative culture and to standardize and support work processes (project management, procurement, HRM, sales & marketing, research & development). Position the main idea in the center. Preferably a picture of it. Use lots of space, so you can add things later. Use colors and capitals where useful. Personalize the map. Create sub centers for sub themes. Associative. Any idea probably has many links. Radial. Allows you to work in all directions. Overview. Helps to see the big picture and relationships between issues. 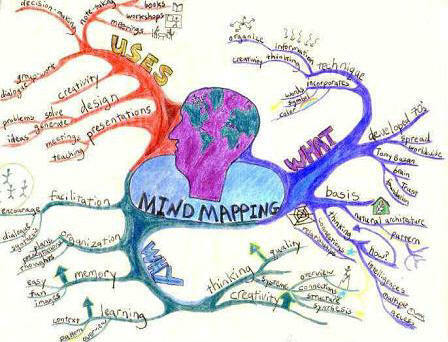 A mind map can be collapsed or expanded to quickly increase or decrease the level of detail. A mind map can be filtered (priorities, key words, colors) to produce customized versions of the ‘mother’ Mind Map. Mind maps can be enriched by: texts, graphics, spreadsheet info, links to files, websites and RSS-feeds. 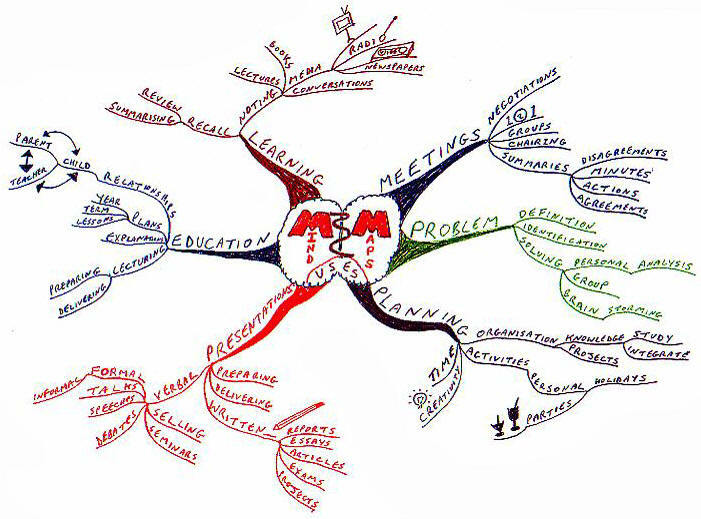 Mind maps can be linked to produce multi-maps. Various modes of collaboration can be supported (such as brainstorming, presentation, building, customizing, project management, research). Mind Maps can be converted to almost all traditional forms of communication (vice versa). Flexible idea capturing and filtering mechanisms. Various modes of presentation (Mind Map, website, PowerPoint, etc). Reporting (Mind Map, Word, Outlook, Visio, etc). On a knowledge and information management level. Software can connect people in a direct and effective way to information. Knowledge and Information processes are better integrated in work of people. Information is better managed and needless duplication of information is avoided as the information of the Mind Map can be transformed and synchronized very easily. Why are Mind Maps So Easy to Remember?